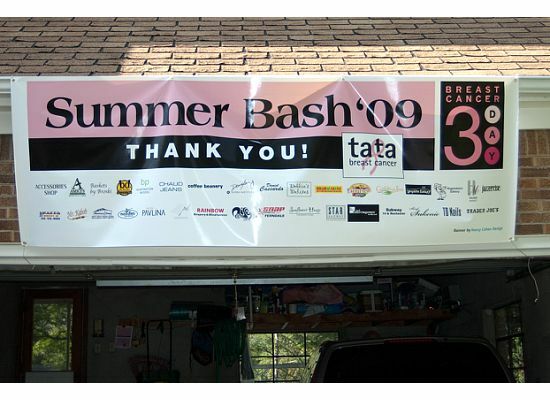 Posted on November 20, 2009, in breast cancer, Breast Cancer 3-Day Ambassador, fundraising, Susan G. Komen, Ta Ta Breast Cancer, Uncategorized and tagged breast cancer 3-day, Breast Cancer 3-Day Ambassador, fundraising, Susan G. Komen, Ta Ta Breast Cancer. Bookmark the permalink. 1 Comment. If you happen to know anyone who raise funds to help cancer touched people, please refer this site to them, http://www.fundraisingforacause.com. The site offer large selection of pink merchandises at lower price. Plus they can get 10% discount by using the promo code:3day. I’m referring the site to all because the owner really help in raising funds.